respectively. Here, , , , and are defined in Figure 7.2. 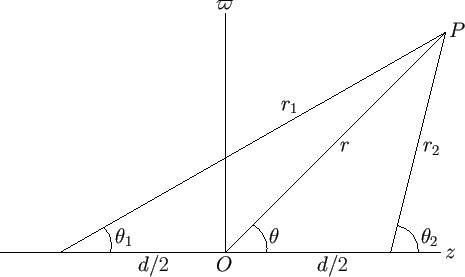 Figure 7.2: A dipole source. where use has been made of Equation (7.41), as well as the fact that . Figure 7.3 shows the stream function of a dipole point source located at the origin. 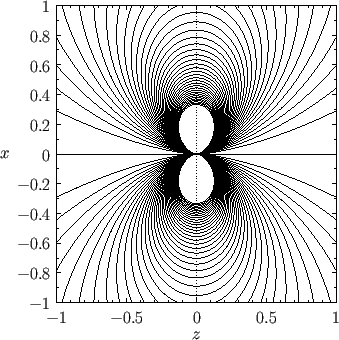 Figure 7.3: Contours of the stream function of a dipole source located at the origin. Incidentally, Equations (7.26), (7.28), (7.33), (7.35), (7.42), and (7.44) imply that the terms in the expansions (7.23) and (7.24) involving the constants , , and correspond to a point source at the origin, uniform flow parallel to the -axis, and a dipole point source at the origin, respectively. Of course, the term involving is constant, and, therefore, gives rise to no flow.